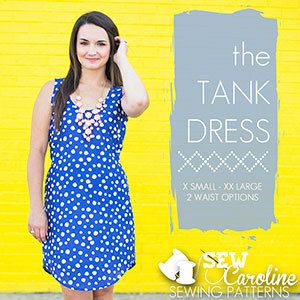 The Tank Dress is the perfect blend of comfort and wearability. A true wardrobe staple, this dress will fit perfectly into your everyday life. The simple construction leaves room for lots of modifications and “making it your own”. 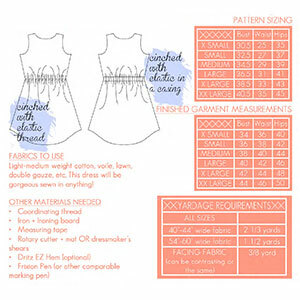 The dress fits to hit above the knee (although there are instructions included on how to make the dress longer OR shorter! ), no darts, no closures, and the option for an elastic casing or elastic thread to cinch the back. So easy to sew that you’ll want to make it over and over!